How was your lunch yesterday? We had the works: a traditional English Christmas lunch with roast (organic) turkey plus all the trimmings, and thanks to the new website that has revolutionized my life, it was followed by the Queen’s Speech live in the afternoon and in the evening, the Christmas special of ‘Call the Midwife’. I loved every minute of it. Anyway, I was very chuffed with this dessert: we would usually have had Christmas pudding but this year somehow we just didn’t have one. I tend to find that in the family I am actually the only one who likes it so chocolate won the day! 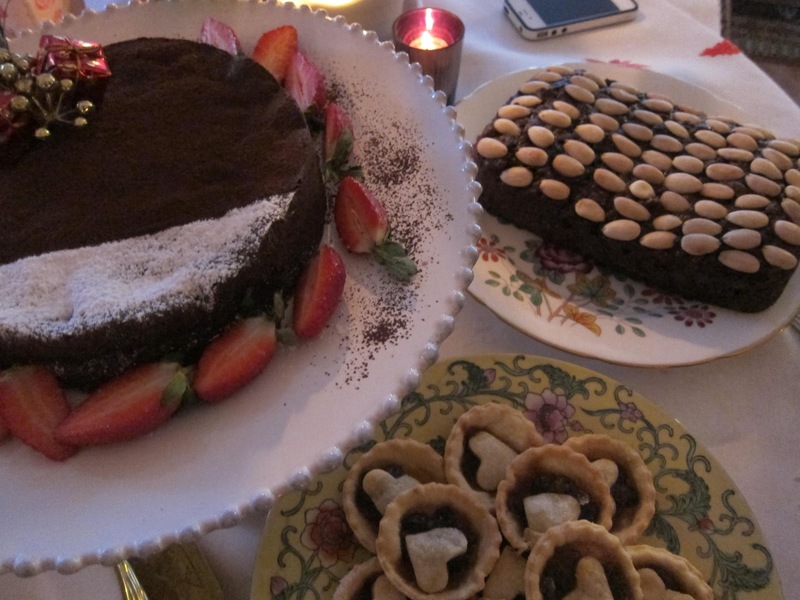 (We did have some mincepies which pacified the traditionalist in me plus a fab fruit cake made with all the raisins and Turkish dried fruits that you could desire that our friend Frances had kindly made and brought along to contribute to the feast). Grease and line an 8 inch/20cm springform cake tin with greaseproof paper. 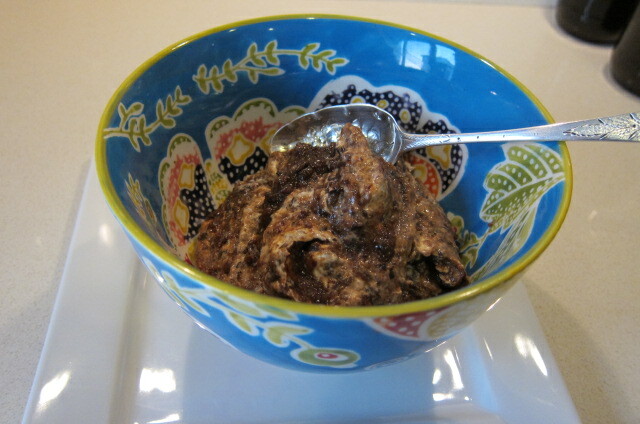 Soak the prunes overnight or as long as necessary to soften them. MINE WERE ALREADY SOFT SO I SIMPLY CONTINUED: Place in a saucepan with the water, bring them to simmering point, remove from the heat, then pour the prunes and their cooking liquid into a bowl and stir in the Armagnac while they’re still warm. Leave them to cool, then cover the bowl with clingfilm and chill in the fridge overnight. WELL I DIDN’T NEED TO DO THAT. 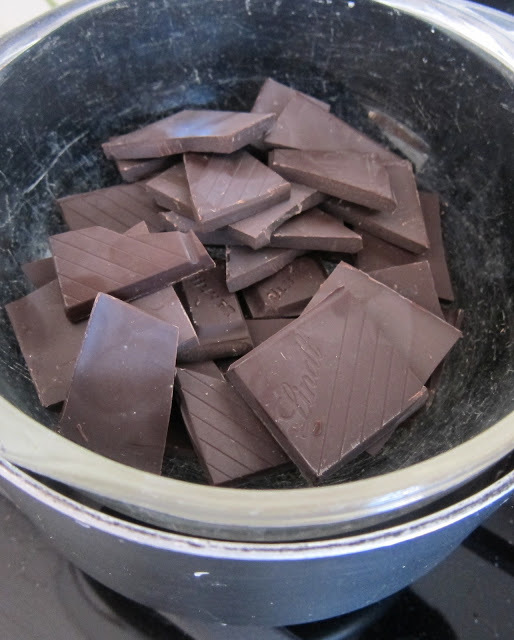 Pre-heat oven to 325F/170C/gas mark 3.Break the chocolate into squares and place them with the butter into a bowl fitted over a saucepan containing some barely simmering water (making sure the bowl doesn’t touch the water). 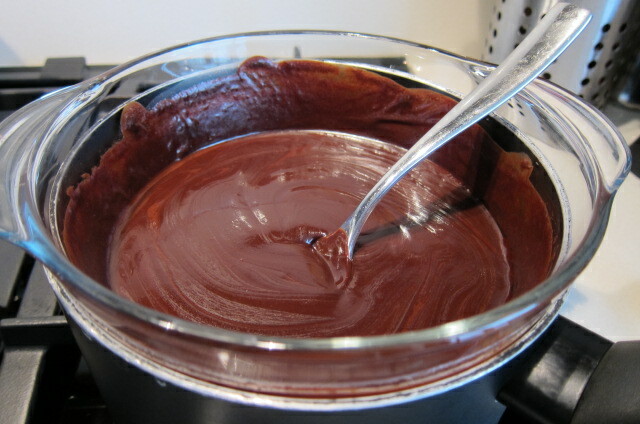 Let the chocolate melt then stir until you have a smooth, glossy mixture. Remove the bowl from the heat, add the Armagnac and leave to cool. 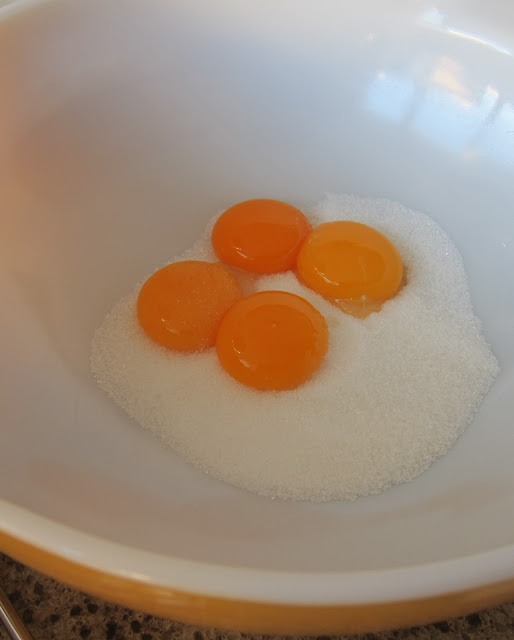 Now take a large bowl and combine the egg yolks and caster sugar in it. 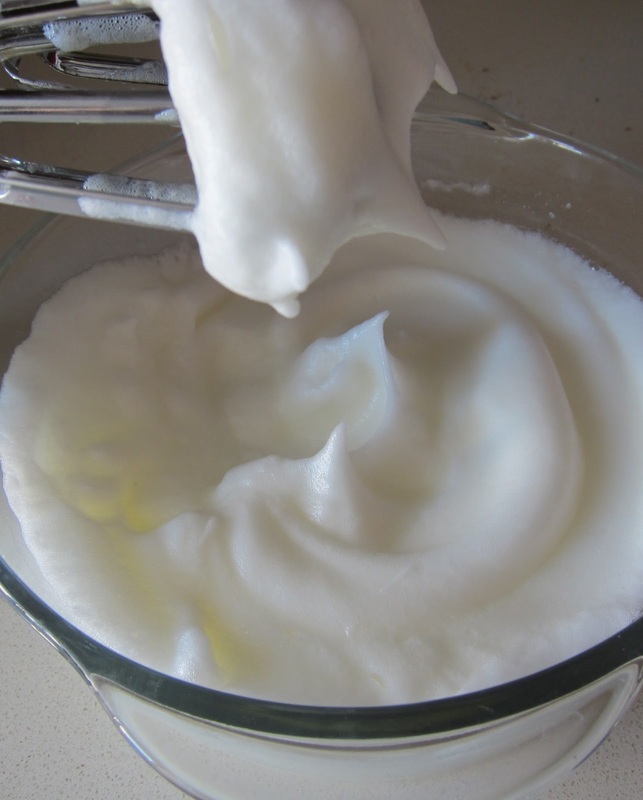 Then whisk them together for about 5-6 mins, using an electric hand whisk – when you lift up the whisk and the mixture drops off, making ribbon-like trails, it’s ready. 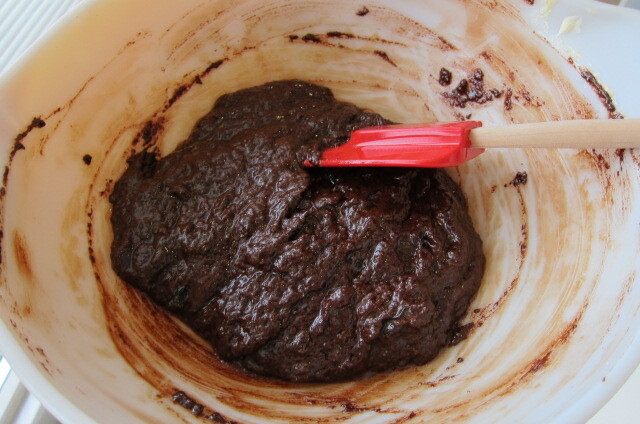 Now count out 18 of the soaked prunes, cut each one in half and combine the halves with the whisked egg mixture along with the melted chocolate. 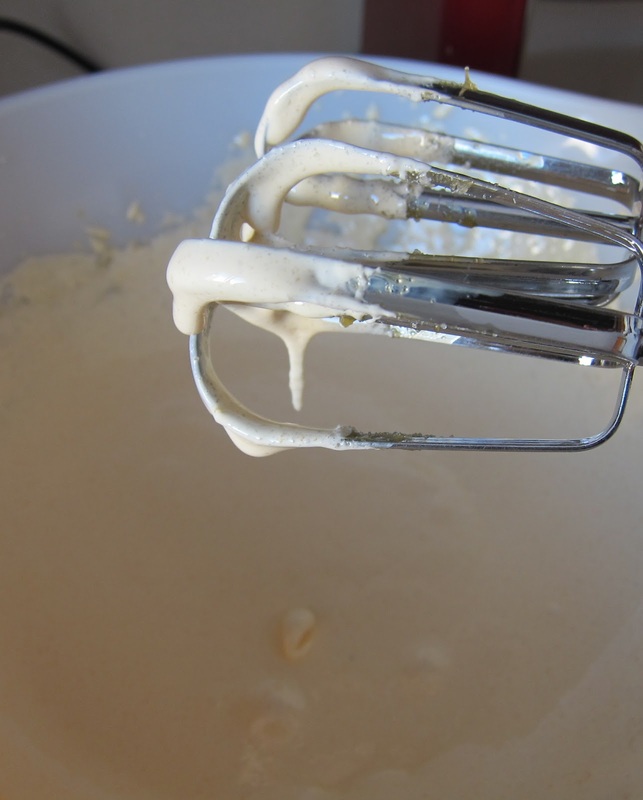 Next you’ll need to wash the whisk thoroughly with hot soapy water to remove all the grease THIS IS VERY IMPORTANT OTHERWISE THOSE WHITES WILL NEVER WHISK and dry it well. In another bowl whisk up the egg whites till they form soft peaks. After that, fold them carefully into the chocolate mixture. 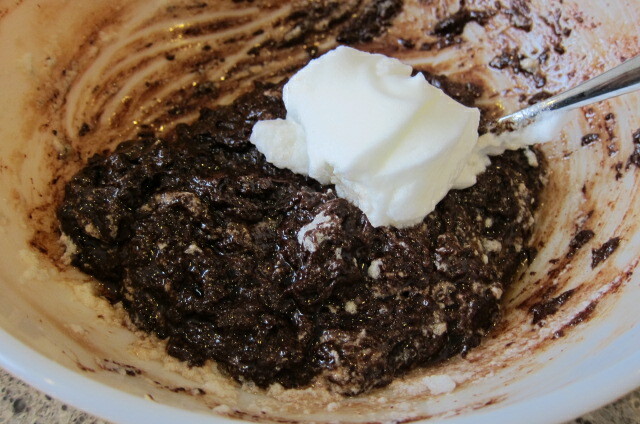 Spoon this mixture into the prepared tin and bake the soufflé in the centre of the oven for about 30 mins or until the centre feels springy to the touch. Allow the soufflé to cool in the tin. When it’s quite cold, remove it from the tin, peel off the paper, then cover and chill for several hours (or it can be made 2-3 days ahead if more convenient). IT DOESN’T LOOK VERY IMPRESSIVE AT THIS STAGE. For the sauce, if making: simply liquidize the prunes reserved from above, together with their liquid, place the purée in a serving bowl and lightly stir in the creme fraiche to give a sort of marbled effect. Hand the sauce round separately to serve with the soufflé. 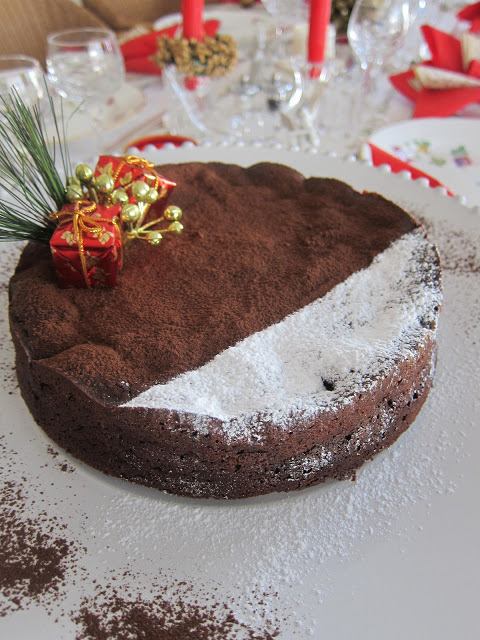 Serve the soufflé dusted with cocoa powder – I ALSO USED SIEVED ICING SUGAR TO CREATE A DRAMATIC EFFECT AS YOU CAN SEE IN THE PICS. I also added some cake decorations which I haul out every year! But they look good …. To serve, I halved some strawberries and scattered them around. and here we have Delia’s Fallen Chocolate Soufflé with Prunes! 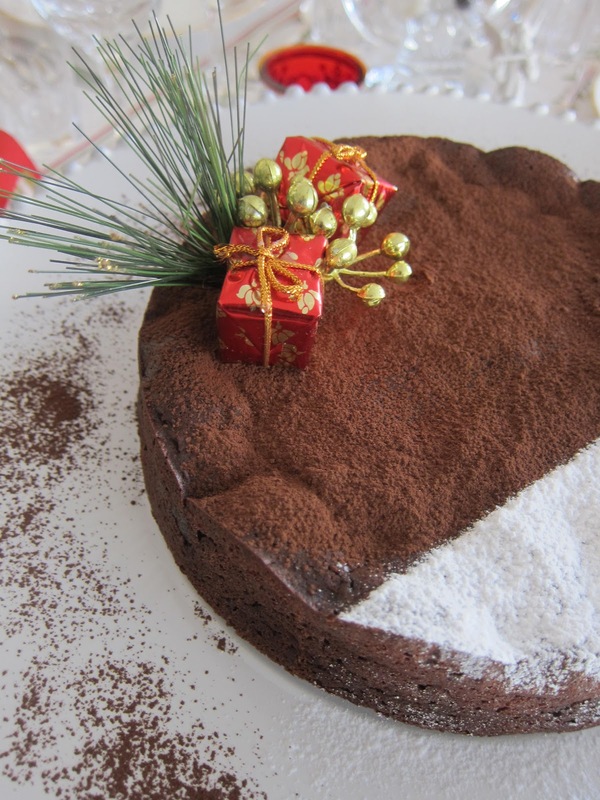 anything with chocolate is welcome at my table any time of the year. Don't you find?? Chocolate is everyone's absolutely favourite taste !! Thank you SOOOO much for sharing that link! Wonderful! It's simply fantastic!!! I wasn't sure whether it was OK to print it … would I get my head chopped off or something?? all our love to you both, C.
I started to make this yesterday then stupidly broke the eggs whole into the sugar. Not wanting to waste the mixture I added 100 g self raising flour to the mixture and baked it anyway. Not a sunken soufflé but a very nice rich pruney chocolate cake resulted. I'll do the real recipe next week. BtoB: you are obviously an accomplished cook – that's the feeling I have got from your past comments! Good for you to carry on with this despite slight set-back! How did your Christmas go? Was everything OK for you in Bodrum after all those years? 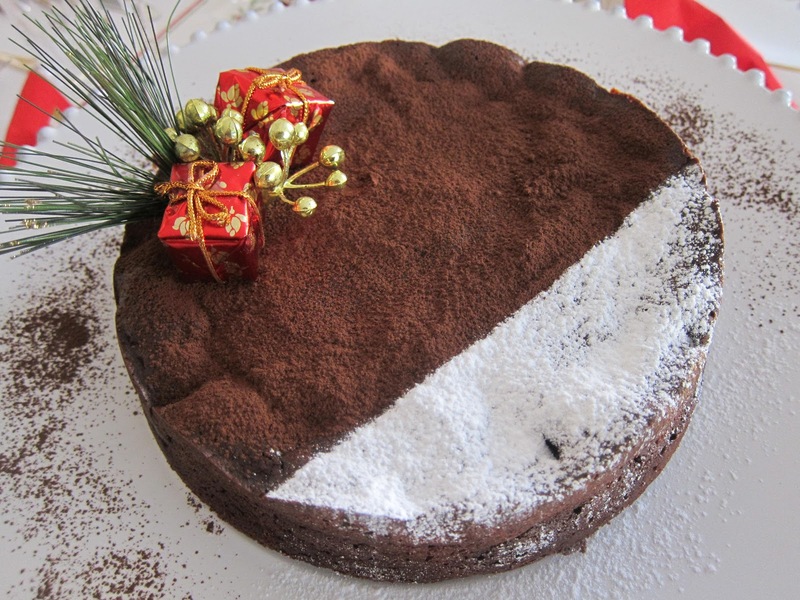 Love your new Blog….and great recipe a must try….Beautiful photo`s. What a fabulous dessert to end a wonderful Christmas dinner with all the trimings. I got off the hook this year for dinner, actually a first for me that the Christmas dinner was not at my house….I was at my younger brother`s home and his Mother in Law Beatrice made a very nice dinner also with the trimmings. No Christms pudding either but a Cherry Cheesecake. Dear Erica, you've been a fabulous follower this year and I thank you for that! So glad you had a good Christmas – maybe next year one of the daughters will do the honours? ?